NORWAY. 2012. Vesteraalen. 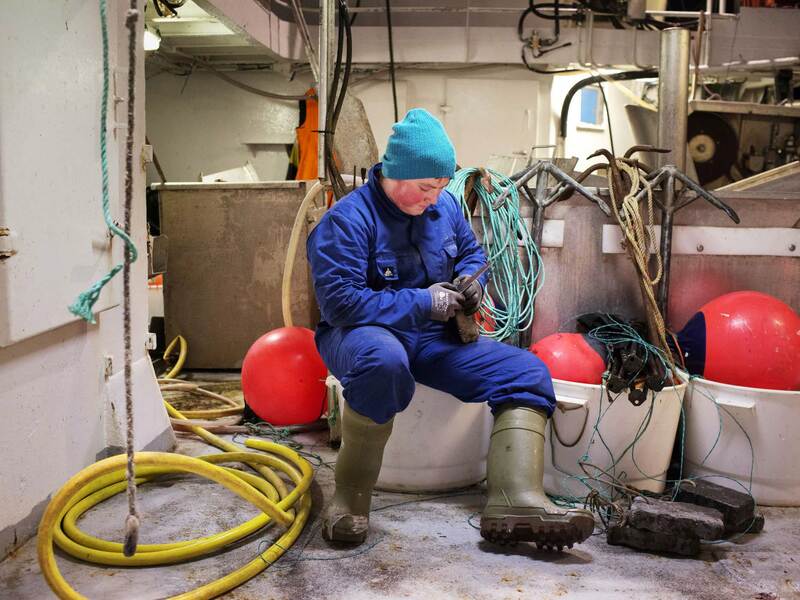 Young fisherman's assistant cleaning equipment on a fishing vessel.